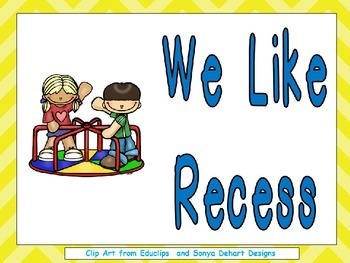 This Shared Reading PowerPoint will help young students practice early reading skills, while learning about fun at recess!! The text of the book is written at an approximate level B. 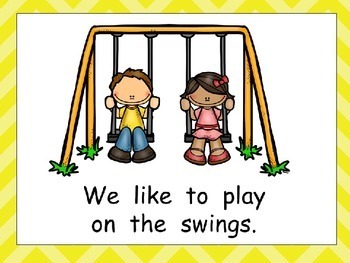 Page 2: We like to play on the swings. Page 3: We like to play on the monkey bars. Page 4: We like to play basketball. Page 5: We like to play on the slide. Page 6: We like to play hopscotch. Page 7: We like to play with a hula hoop. Page 8: We like to play on the merry-go-round. 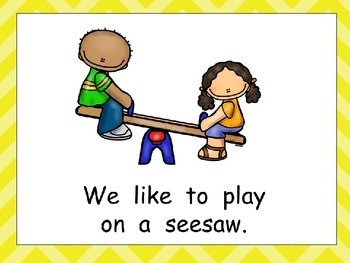 Page 9: We like to play on the seesaw. Page 10: We like to play!